You probably heard about the recent “Lilly for Target” collection that became available online and in stores last Sunday, April 19th. When it was announced that Lilly Pulitzer was the latest designer brand to collaborate with Target, I was beyond thrilled. My love for floral/tropical prints is probably equal to my adoration of geometric prints. With Lilly Pulitzer’s bold floral prints, it was only natural for me to love this brand. 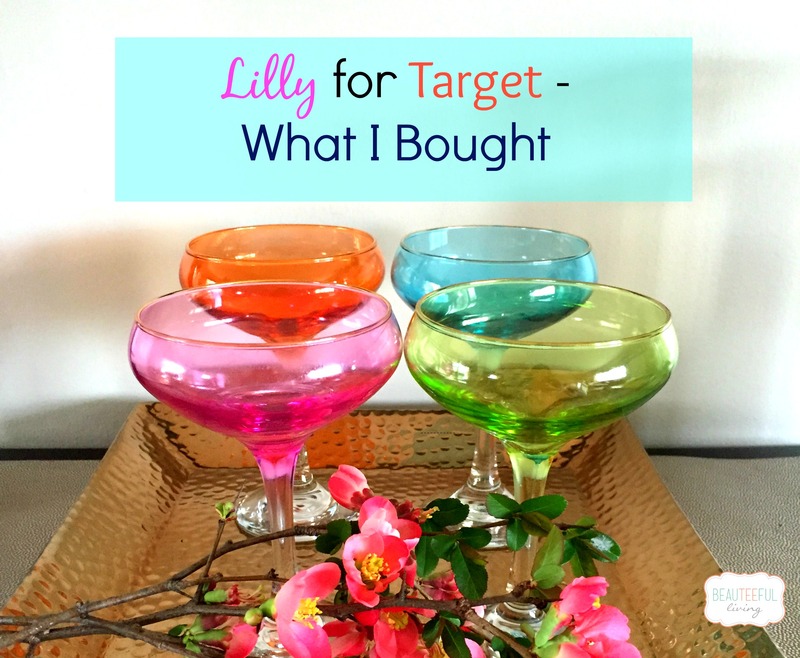 Forget clothing for a minute, the Lilly for Target collection even had home products…WHAT?! April 19th could not come soon enough. All across the U.S., Lilly for Target hopefuls were greeted with these empty racks. If they didn’t get there when the store opened at 8 am, chances are merchandise was already all gone. They say that items sold out within hours. I think 30 – 40 minutes was more like it. I knew I was in trouble when I got to Target 30 minutes after opening and saw so many cars already parked. Another bad sign was seeing 2 ladies pushing their carts full of Lilly merchandise out of the store. It was only 8:30 am! When I walked in, all was calm around the aisles. I guess I had missed all the action already. I think I was more disappointed about not witnessing “the running of the Lilly fans” than not getting the items I wanted. 2) People will always be out to make a buck. Instead of the #LillyforTarget event, many dubbed this the #LillyforEbay event. There are tons of merchandise being sold at a significant markup on eBay. Of course, many people are upset by this. Just check out Twitter under Hashtag #LillyforTarget and you will likely see legions of angry tweets. A set of pretty drinking glasses pictured in this post. So, our dinners have gotten a little fancier with these glasses on our dining table. 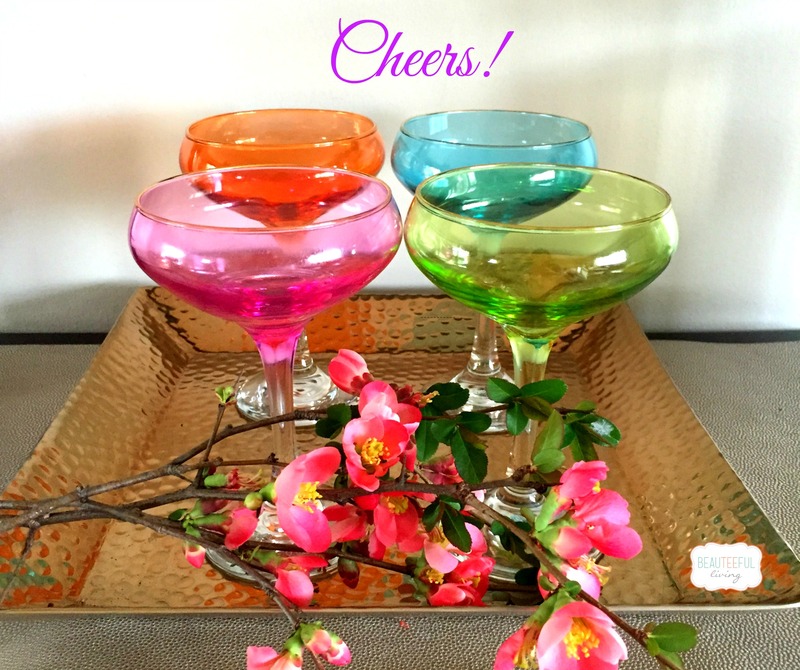 With the warmer months ahead, I’m excited to make refreshing drinks and enjoying them in my new Lilly glasses. 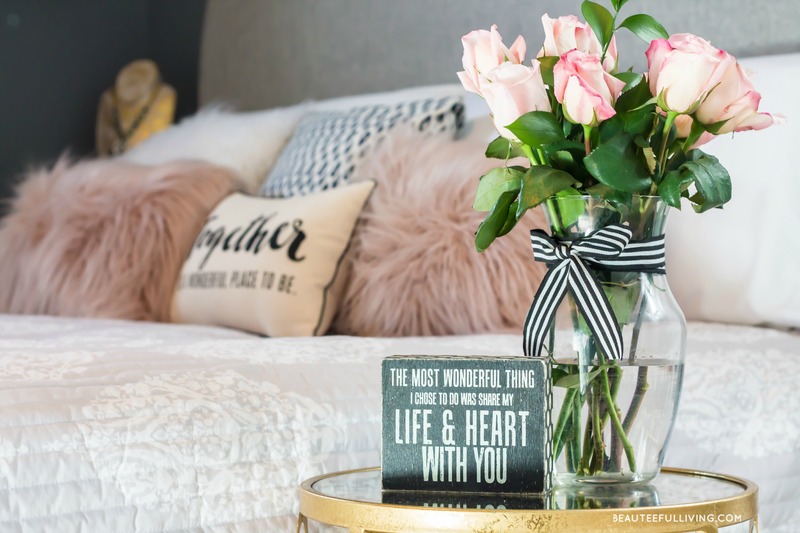 Entertaining is a big part of Beauteeful Living‘s blog. I think these glasses are the perfect items to represent the upcoming warm months ahead. I hope you continue to join me in celebrating life’s simple moments and joys! Did you shop at the Lilly for Target event or have a comment about this post? As always, thanks for reading. Xo, Tee. Although I may not get super excited about florals, those glasses are beautiful. I’m not surprised with the turn out of that event! It’s crazy what people will do for a buck these days. I adore your blog! I was so sad about the Lilly collection selling out and people just buying to resell. You did great with those glasses. Your photography and the design of your blog is beautiful as well! Great takeaways! The glasses are the best pieces I’ve seen, so I think you hit the jackpot ;). I definitely missed out on this one. Here’s the crazy part… I didn’t even know about Lilly for Target until after it sold out!!! You would think if Target was advertising this brand they would stock more of the items!? Crazy! Those glasses are very pretty, though. Makes me think of summer. It sounded pretty crazy. I love all the bright colors. The glasses are so pretty! Wow, very popular brand, makes me curious now. I love your glasses! The glasses are very pretty. It’s sad though that people are so greedy. Then lasses are really cute! I love the colors! That hammock though…I need that!! I heard about this rush from a friend of mine; she posted a pic online of the line snaking around the building waiting for the store to open. Crazy! Love the glasses! I heard about the crazy lines and people stuffing their carts first thing around here too. Crazy how quickly that happened and it’s sad that people grabbed everything up just to sell for a higher price elsewhere. Oh well at least you got the glasses! Yikes! that’s crazy!! You did good. LOVE the green! I can’t believe the stores sold out so quickly and people are marking up the merchandise on ebay ..how sad! I do love what you bought the glasses they are very pretty! Yeah, it’s pretty sad that they are being resold at such a big mark up. Thanks for commenting, Kim. Wow! Did not know there was a following for this product. I have to head to my local target and see what the fuss is about. Love the glasses by the way and how you arranged your tray. I just couldn’t believe the amount of things people were buying! It is just disappointing to see them all marked up on ebay, too! I did not plan on shopping for this line. I liked some of the things I saw, but none of it I had to have. I was not aware it was going to be so big until it actually went on sale. I think you did it the smart way. you got some cute glasses and now have fancier dinners! I’m speechless! Were they limited edition pieces? That’s what stores usually do to get the things to sell quickly basically because no one wants to lose out to the next shopper! Yes, Agy. It was a 1-time limited edition collection.